Think amaryllis can only be planted in indoor containers? This Hardy Garden Amaryllis Mix makes you rethink that! This hardy mixture includes a mix of red, pink, white, yellow, striped or two-toned flowers. It can be planted in the sunny garden or along a walkway and enjoyed for many seasons without digging up and storing for the winter in zones 7-9. The stems reach 14-18" tall and the star-shaped blooms are a gorgeous variety of bold and beautiful colors average 4-5" across. 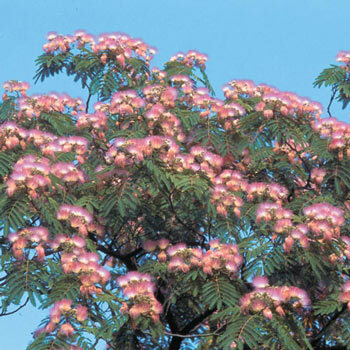 Its wide, straplike, fleshy leaves emerge before and after flowering. 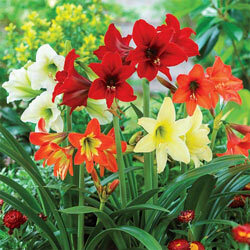 This Hardy Garden Amaryllis Mix can also be planted in containers and be forced to bloom in the winter months. Germination Outside in the garden - 6-8" deep. Indoors in a pot - 1/3 of the bulb above soil line. Plant at the foot of a south facing wall.